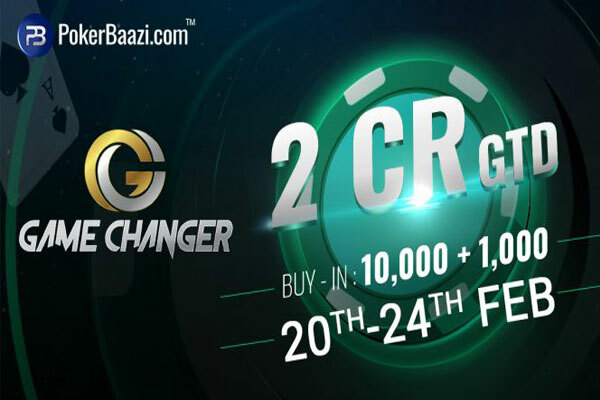 PokerBaazi, a leading and trusted real-money online Poker platform has created ripples by announcing its international level ‘GameChanger Tournament.’ The event commencing from 20th February has promised a scintillating jaw-dropping offer of 50,00,000 INR payday for that lucky coveted winner. The event has received a plethora of responses from many sectors and shall amount to a massive turnout with its reasonably priced buy-in at 11,000 INR for each participant. Game Changer is sure to be a revolutionary tournament for all the poker enthusiasts. The tournament shall feature three starting flights namely- Day 1A (20th), Day 1B (21st),Day 1C (22nd), with each of the participants being allotted five re-entries. Players shall test their mojo out in Poker during the first three days of the round one, and those who grind it out till the end will lock horns on February 24, the final competition where the winner shall be declared who shall walk out with 50 Lac. With no existing eligibility criteria for participation, any player can enter with the buy-in of INR 11,000 and play for the initial three days to qualify for the final day. Previously, The MoneyMaker featured a 1 Crore prize pool with a buy-in of INR 11,000, and now the bar has risen and how – with The Game Changer catapulting PokerBaazi to newer heights with a 2x Guaranteed Prize Pool. As little as a fifty rupees deposit can get a player registered for the Satellite tournament which forms one of the rungs to the ladder leading them to the ultimate prize of 2 crores. Now that is one heck of a conversion multiplier! PokerBaazi also organizes the 1 Cr tournament ‘MoneyMaker’ which is held once in every four months. It received an overwhelming response from players who embraced the concept and outdid the limit of the guaranteed prize pool by the staggering number of entries. ‘Game Changer’ is India’s largest online tournament where players experience the glamour of multi-day tournaments, evoking a great response from the audience. 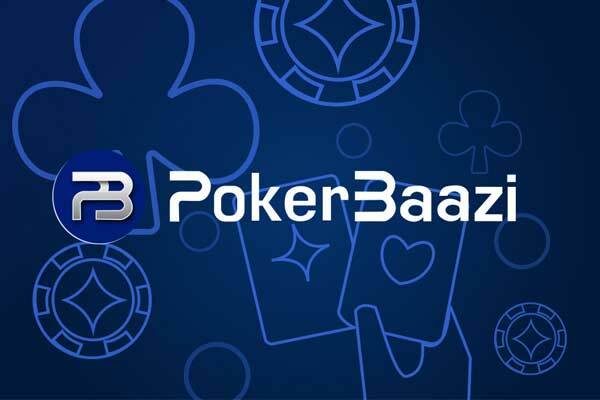 PokerBaazi is indeed catapulting the Poker experience to an International level by providing a safe, secure and trusted platform to put money in, play and get rewards. 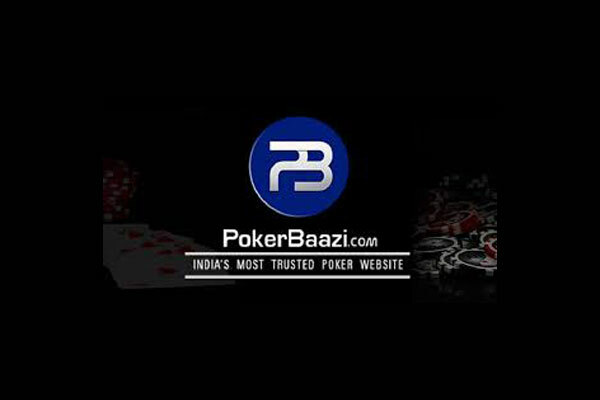 There is no denial to the fact that PokerBaazi has stunned the Indian poker circuit yet again. 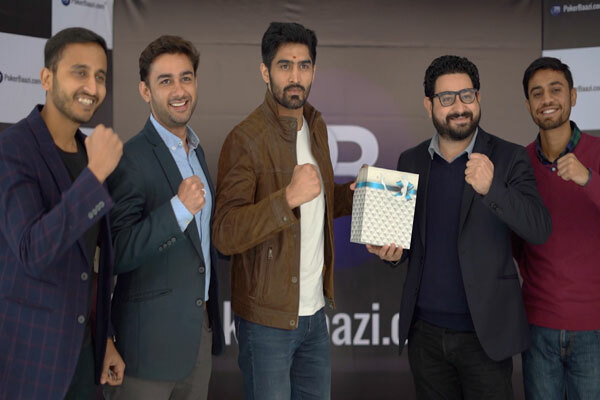 It has also has roped in the boxer Vijender Singh as the company’s brand ambassador. Tighten your seat belts and gear up for a life-changing experience. It’s the Game Changer, and you could be the one changing the Game.